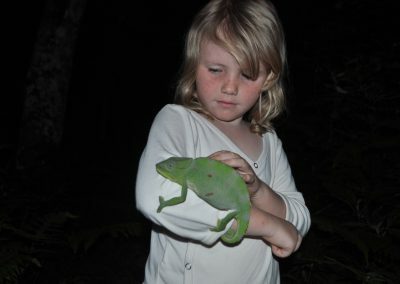 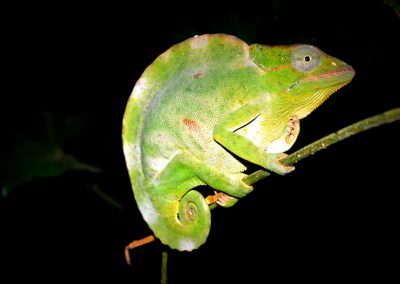 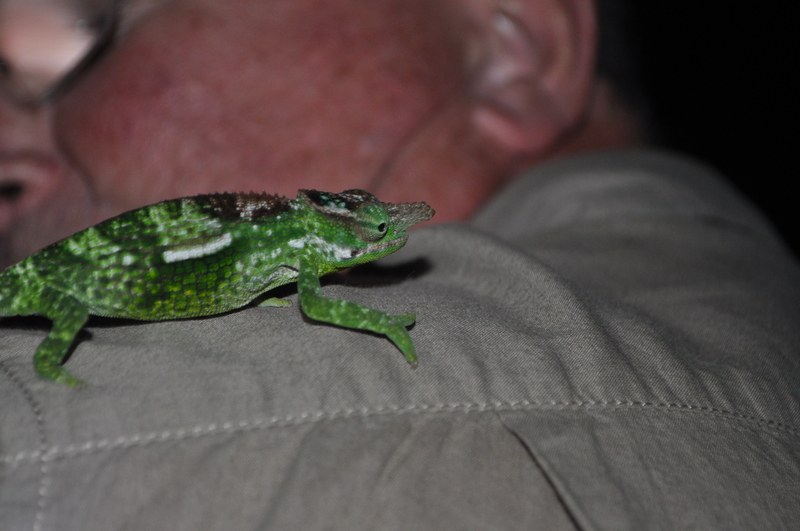 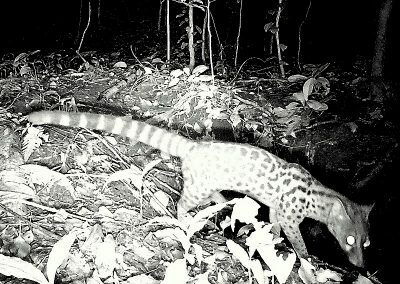 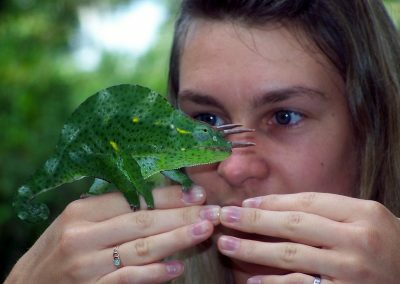 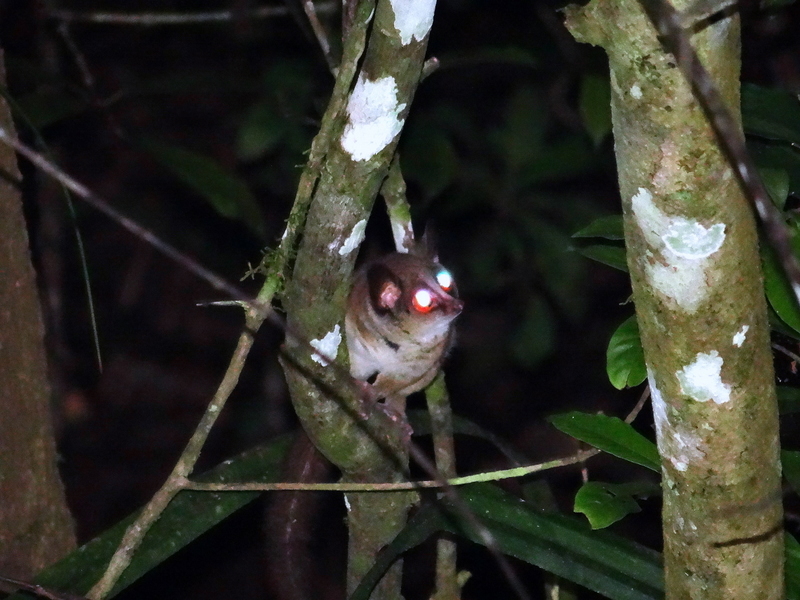 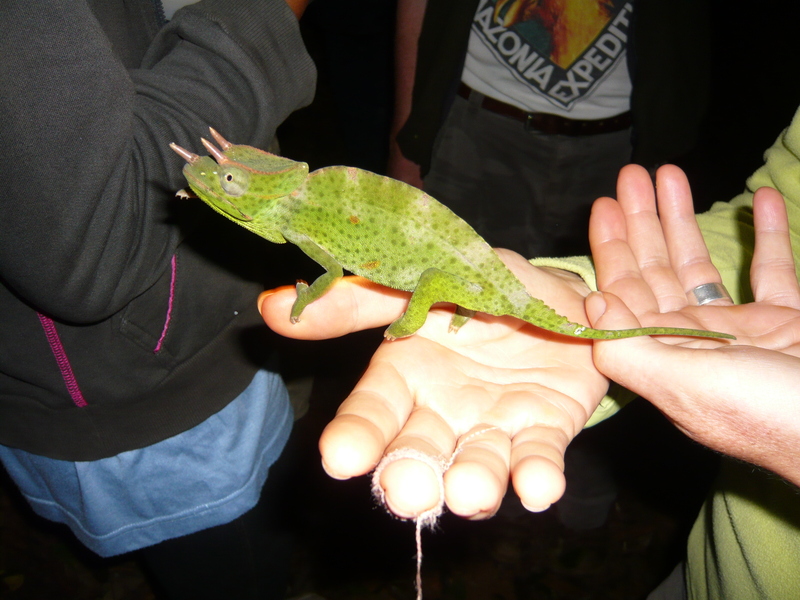 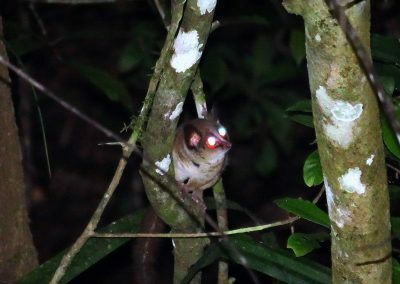 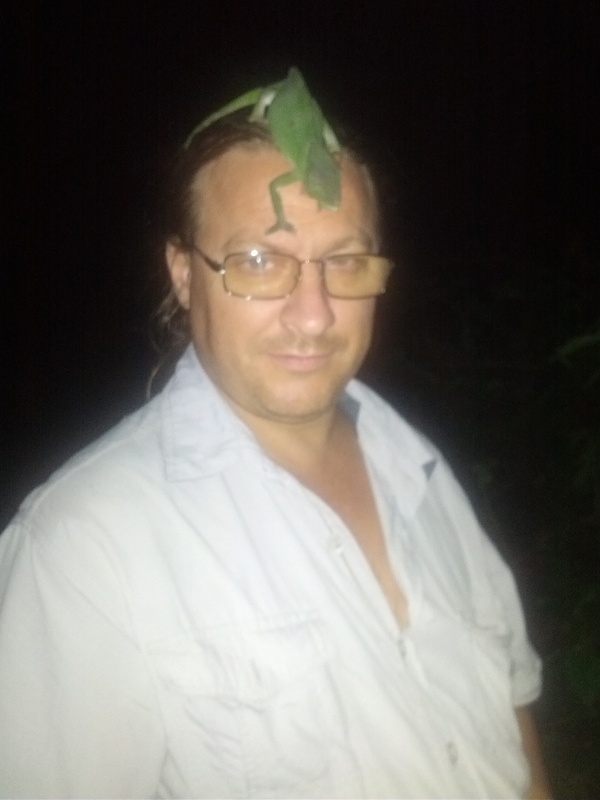 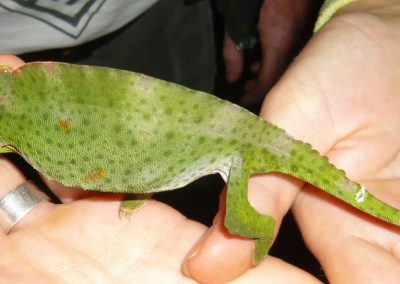 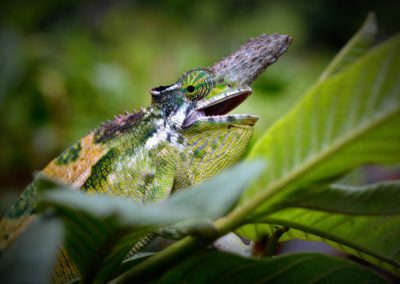 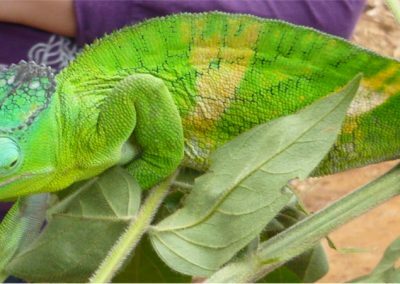 We arrange of short night walks departing from Amani Forest Camp – Emau Hill to find endemic species of chameleons. 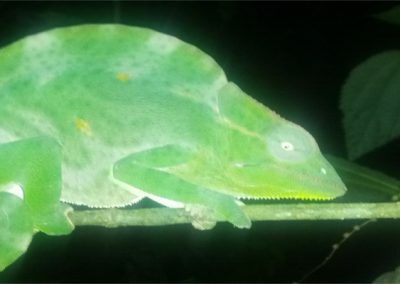 Chameleons are very hard to find during the day but at night they glow white in torchlight. 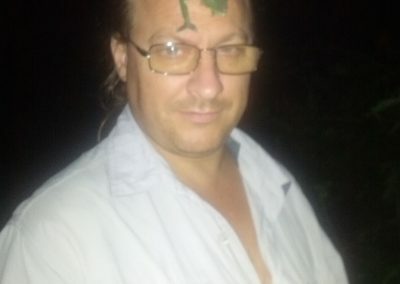 This makes them easier to spot. 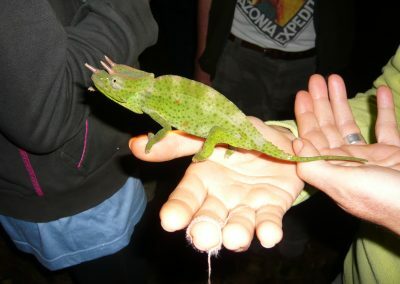 Our expert guides will accompany you and make sure that you enjoy your night hike – make sure you have a good torch. 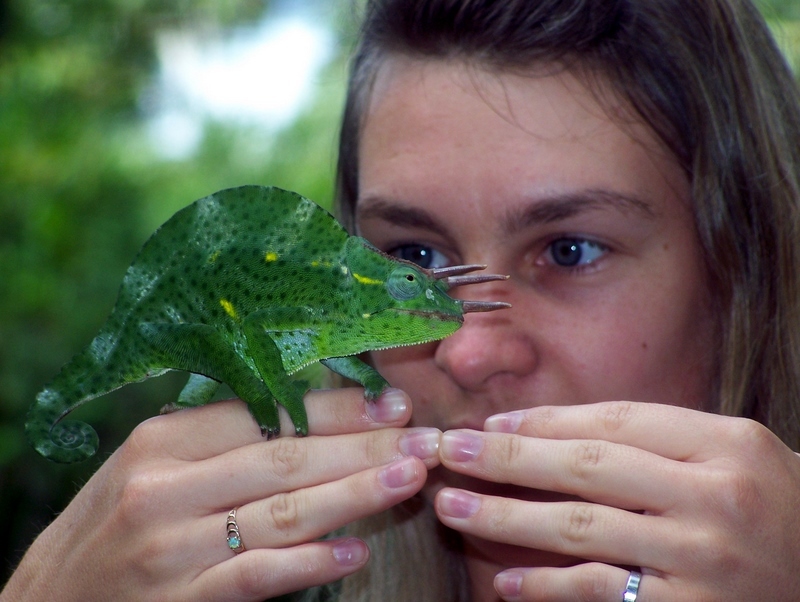 This is a great activity for children of all ages. 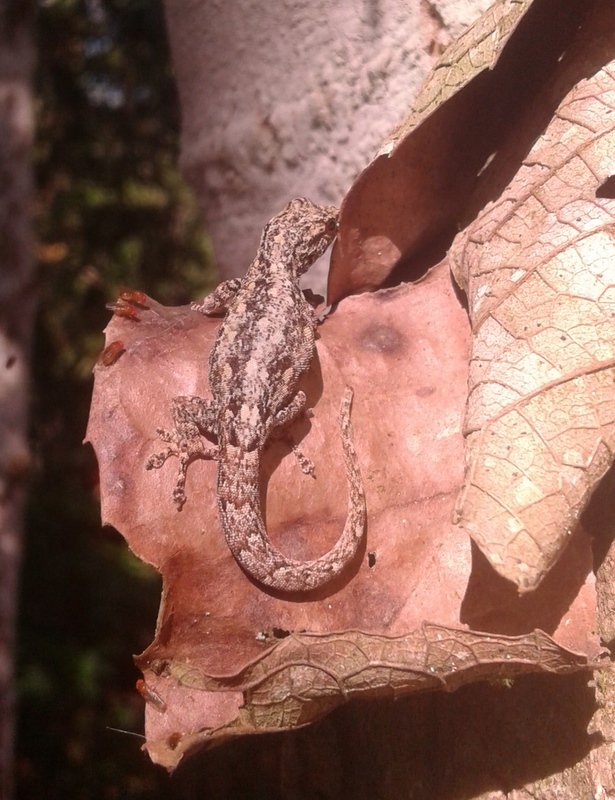 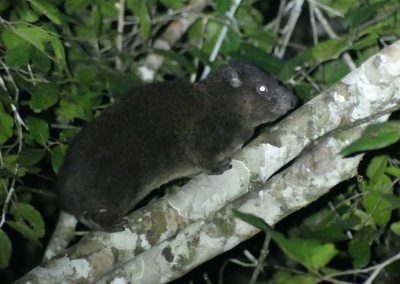 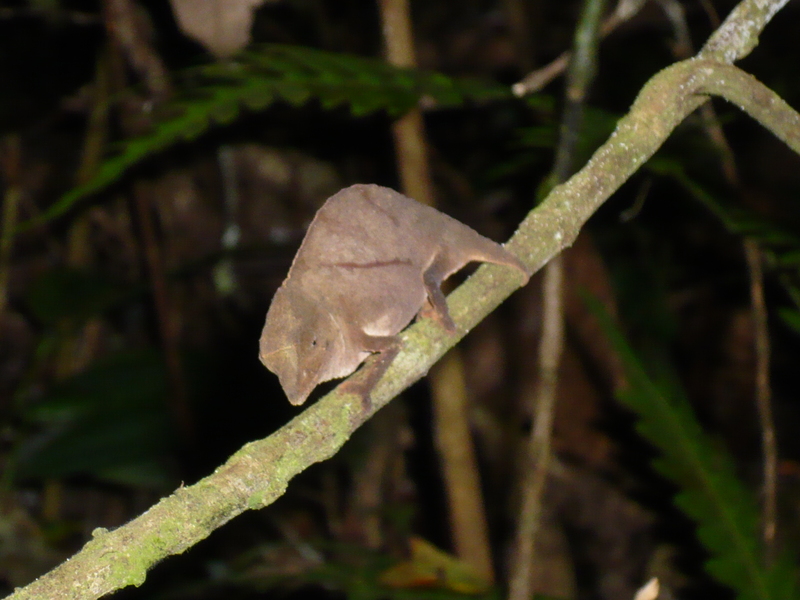 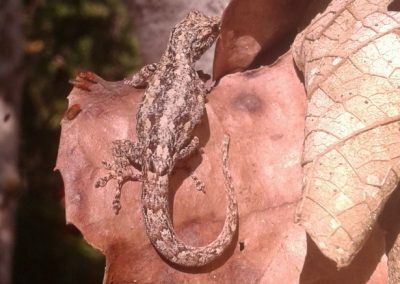 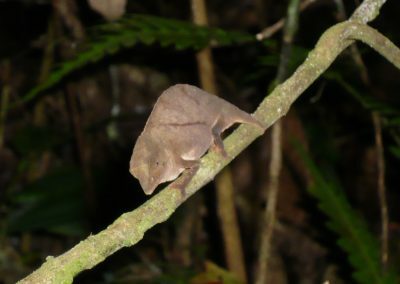 Just a short walk from camp you can find several species of chameleon including the pygmy Rhampholians. 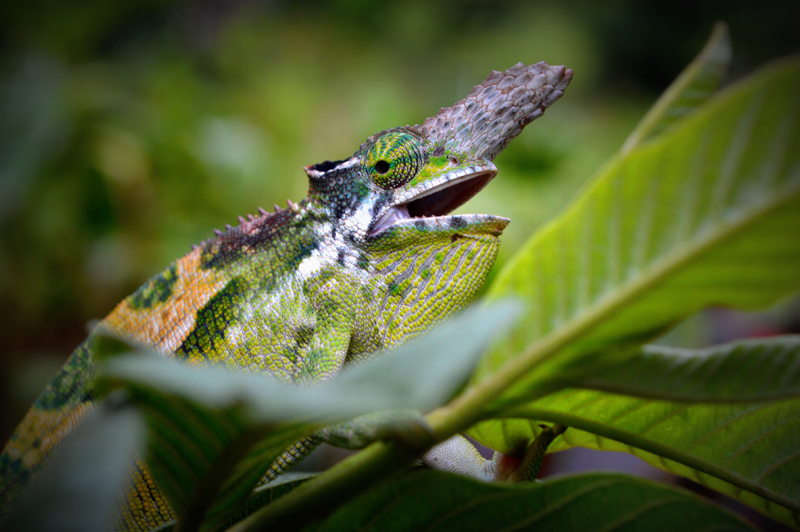 In addition to the pygmy chameleons a notable endemic of the Usambaras is the spectacular Usambara three horned chameleon (Chameleo deremnsis). 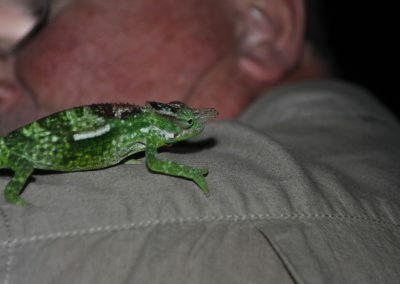 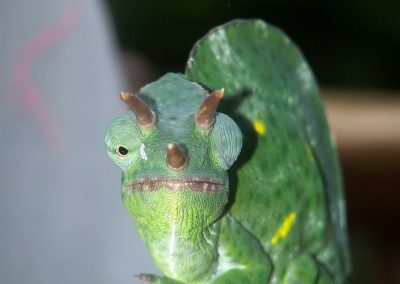 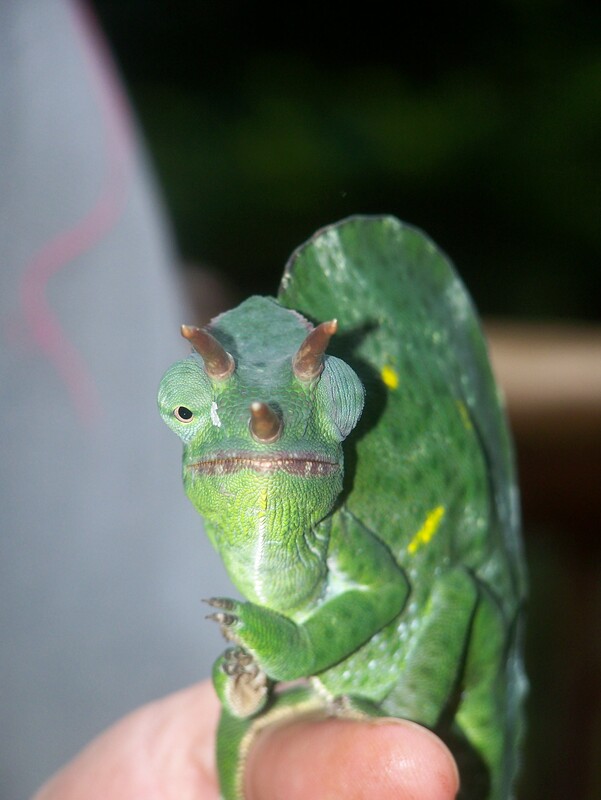 The Usambara two horned chameleon is less frequently seen.